Today, people work in a world where business is conducted simultaneously in multiple formats, multiple media, in multiple locations with multiple partners. Organizations might receive orders from a sales rep, or a trade show, or through merchandising relationships, or through EDI interchanges, or web services. Orders might come from e-commerce sites, partner sites, affiliate sites or a company’s own website. Each of these has its own unique process for fulfilment. Many organizations turn to Excel or QuickBooks to manage their inventory, but this can only add to the problem. Without a robust and intuitive inventory management solution in place, the task of doing business in the “world of multiples” becomes a nightmare. This is the world where AdvancePro thrives and shines. Since 2001 our software products and services have been used successfully by thousands of people in hundreds of companies around the globe. We are inventory experts, system technologists and customer service personnel who are passionate about helping our customers succeed in today’s complex business environment. Our passion is driven by the excitement we hear from our customers who tell us success stories; like spending less weekend time on work-related inventory issues, receiving exceptional customer support, and attaining the ability to handle more business. Comments like these make us feel incredible because our goal is to give small and mid-size businesses the tools and expertise they need to spend less time on the mechanics of inventory management and more time on improving profitability. We recognize that every industry and every business has different strengths, markets, types of customers, and value propositions. We have built our platform from the warehouse floor up to handle these differences and to mold our platform to the specific business and workflow requirements for any company in any industry. We understand that working with you is a relationship; a partnership. We recognize the importance of our software to running your business, and the need for a truly stable and reliable experience. Consequently, our priority is to make our customers feel secure that they are being looked after by a highly talented and responsive support team that provides more than just software support. They also offer advice on workflow process, technology, and hardware. Our vision and mission direct us to be the leader in our vertical market, continue our steady corporate growth, and provide the trusted experience and advice that our customers have come to expect. Top-rated customer support that routinely demonstrates our care and commitment to customer relationships that lead to success. Our success at customer service defines our success as a business, and we’ve consistently achieved glowing reviews for our support. 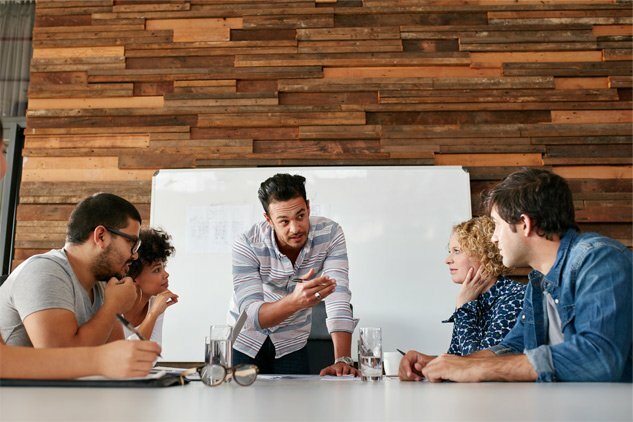 Our leadership team brings a diverse background from a variety of industries, and solves complex business challenges with unique insights and innovation. For over 15 years, I have focused my efforts on understanding the needs of customers and have worked with developers to implement solutions to those needs. After starting out with a BSc in Chemistry and moving onto a Masters in Computational Science, my professional career started in customer retention and sales for several chemistry software companies before making the jump to AdvancePro in 2012. Since joining AdvancePro, I have made customer service my number one priority. My job is to help customers find the best solution for their needs and grow their businesses. I also work closely with AdvancePro’s implementation team to analyse our clients business workflows and business goals to streamline the on-boarding process. On a personal note, I love the outdoors and camping. I’m also an advocate and follower of the ketogenic way of eating, which I can talk your ears off about if you let me. I’m always accessible to AdvancePro customers and want to hear your ideas for how we can improve. Do not hesitate to reach out. I have 13 years of hands-on experience working with every stage of the software development lifecycle, from scratch to finished product to deployment. At AdvancePro, I lead multiple development teams who design, develop, deploy and maintain the platform. My goal every day is to produce a product that is innovative, secure, easy to use, and solves the problems that hold our clients back from growing. Before coming to AdvancePro, I completed an MA in Organizational Psychology and worked as a consultant to help companies measure, analyze and improve their performance metrics. At AdvancePro, my job is simple; to tell our story and let people know how AdvancePro can help their businesses. I’m something of a data nerd, and I built and maintain our internal dashboards. I’m a new father, a musician, and I love to read and write about the psychology of people in the workplace. I have been involved in some form of supply chain management for most of my professional life since graduating from York University in 1993. In 2006 while CEO of a Canadian 3PL company we made the decision to purchase AdvancePro to run our operations. Who would could have known that six years later I would become CEO of AdvancePro. Simple reason: I love the business of manufacturing, warehousing and distribution coupled with how technology can be used to make it happen effectively and efficiently. I am passionate about AdvancePro because that is exactly what it does. I’m a hands-on manager, and truly enjoy meeting and working with all of our customers. I do have other passions outside of the office. I am a father of four great kids and married to my best friend. I am a published author and educator. I am a history and philosophy buff and enjoy keeping up to date on the latest trends and technology innovations. I love the outdoors. I am very grateful to have the best team a guy could hope to work with. When you work with us you’ll come to learn that we consider our customers a part of our tight knit family.